This time of year, you’ll find a generic Christmas market in pretty much every town centre. Sure, they’ll have a mulled wine stall and a hog roast on the go - maybe even an ice skating rink. But if you’re looking for the real deal (think warming winter dishes with weird names, delicious drinks and genuine festive spirit) then you’ll want to check out our guide to the very best Christmas markets across Europe. One of the most picturesque Christmas markets we’ve ever discovered, this Finnish Christmas market is sure to get you in the pikkujoulu (pre-Christmas party) mood. Over 120 picturesque stalls sell everything from handicrafts to pine candles surround a traditional carousel - pick up a hand-carved kuksa (a wooden Finnish drinking cup) and toast the season in style. If the thought of Christmas shopping on the high street brings you out in hives, then the Bolzano Christmas market keeps things a lot more Real (capital letter not an accident). The 80-odd stallholders are only allowed to sell items that are made locally: from wooden tree decorations to decorative candles and spiced cakes. Inside, there’s a space where you can watch the craftspeople at work - you might even come back with a new hobby, as well as a bag full of one-of-a-kind presents. 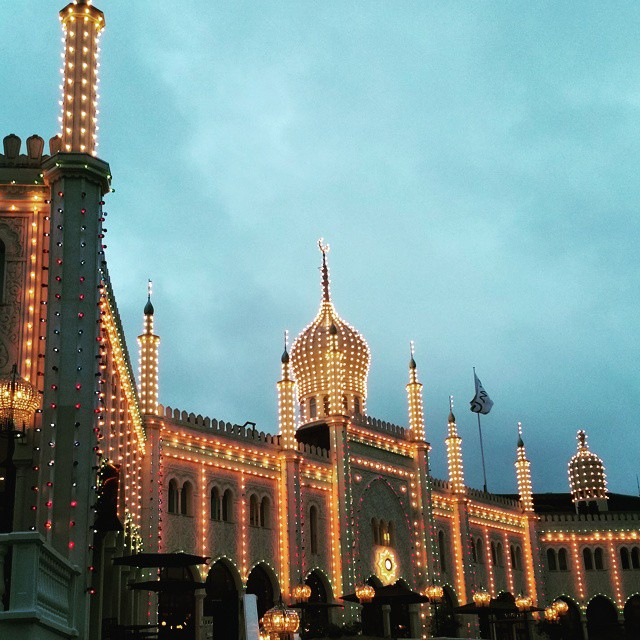 Hygge isn’t going anywhere - the Danish word for Scandi cosy vibes might have blown up in 2016 but we’re still feeling it two years later, especially at Tivoli Gardens. The real-life inspiration for Disneyland, this market is packed full of fairy lights and Scandi-chic stalls selling everything from honninghjerter honey cake to stylish knits. The OG of Christmas markets - Nuremberg is arguably the original and best festive market experience. Yes there’s Gluwein and gingerbread - there’s been a Christmas market here for the last 400 years, they know what they’re doing. But there’s also rum punch, Nuremberg Rostbratwurst (roasted over a beechwood fire) folk dancing and gothic churches looming over the market square. It doesn’t get more authentic (or more Christmassy). Looking for something unique for a fellow jetsetter? We’ve got the perfect gift guide for every BRB traveller right here.